FACT CHECK: Glittery Phone Cases Cause Acid Burns? 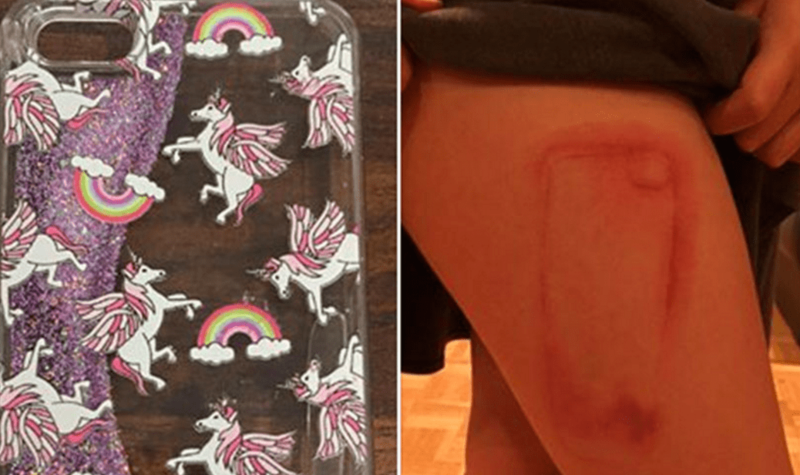 Do Glittery Phone Cases Cause Acid Burns? After anecdotal reports of glitter iPhone cases causing burns in 2016, one manufacturer recalled over a quarter of a million cases in August 2017. Glittery phone cases are leaking some type of substance that causes chemical burns. Multiple reports of burns sustained from leaking glitter iPhone cases in 2016 prompted one manufacturer to recall nearly 275,000 of the cases in August 2017. The recall affected only one brand of phone cases, not all manufacturers of glitter cases. Olivia is not supposed to have her phone in her bedroom at night, but she sneaked it in and had it in her bed, so she fell asleep with it touching her leg. She woke up in the middle of the night and came into my room and said her leg was hurting – I just thought she was being silly and sent her back to bed. Then in the morning I saw this awful burn on her leg — I was so shocked a phone case could do that. Doctors have said it is a severe chemical burn and she will be scarred for life. I can’t believe it — she will have a scar in the shape of a phone on her leg. This phone case, said Nelson, was a “Sophia” model, which also contained glitter suspended in a gel. Claimants have been coming forward with similar stories for at least a year, and all of their injuries seem to be linked to phone cases containin glitter suspended in gel, but the cases carry no warnings that they contain potentially dangerous chemicals. We reached out to the phone cases’ manufacturers for comment. MixBin Electronics sold the cases designed for iPhone 6, 6s and 7 through Amazon, Henri Bendel, Nordstrom Rack, Tory Burch, Victoria’s Secret and GetMixBin.com. 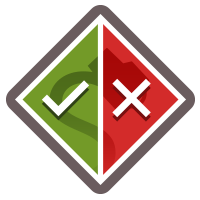 The company announced the recall after 24 reports worldwide of skin irritation or chemical burns. Nineteen of the reports came from the United States, according to the US Consumer Product Safety Commission. Consumers in possession of a smartphone case with glitter suspended in liquid can visit a recall web site to learn if their item was among those recalled by MixBin Electronics.